This model is pictured above with a rather interesting and apparently short-lived Bachmann packaging. These open topped Bachmann packages likely date to the early 1980s or possibly late 1970s from what I've found. 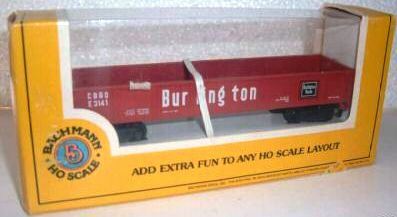 To date, I have only seen rolling stock issued in this style of box. 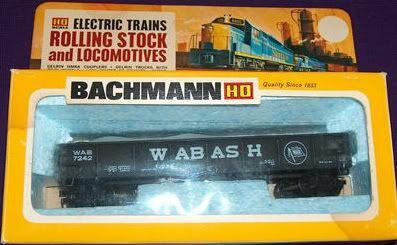 Bachmann's 42-foot steel gondola with gravel load is among the original group of HO-scale rolling stock offerings in the company's 1970 product catalog.